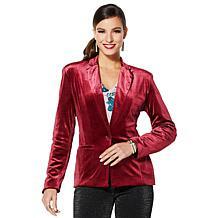 For a fashionable and comfortable alternative to denim, this 2-in-1 ponte blazer is ideal. 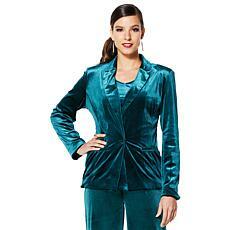 The flattering silhouette is perfect for all body types, while the detachable peplum adds versatility. Wear it with or without the peplum to explore endless styling possibilities.